God Has No Term Limits – I Am Not Ashamed Of The Gospel Of Christ! My goodness aren’t we showing the selfishness of man. This election year in America has created quite the flurry of activity. And it’s not good. While it has shown America is tired of empty promises and all the back room corrupt deals our leaders are making that do nothing but hurt average Americans, our anger will be our demise. Christians are fighting each other over what many are calling “an anointing of a man by God”. Forgetting that a man who says I will make America great again, I will build a wall, I will kill Isis, I will…. Is a bit too much like what Pre tribulation rapture teachers say about the Antichrist. But that’s another article. No man or woman can be the Savior of a country. Unless of course this man or woman would call everyone in America to repentance, and prayer. That’s not happening. 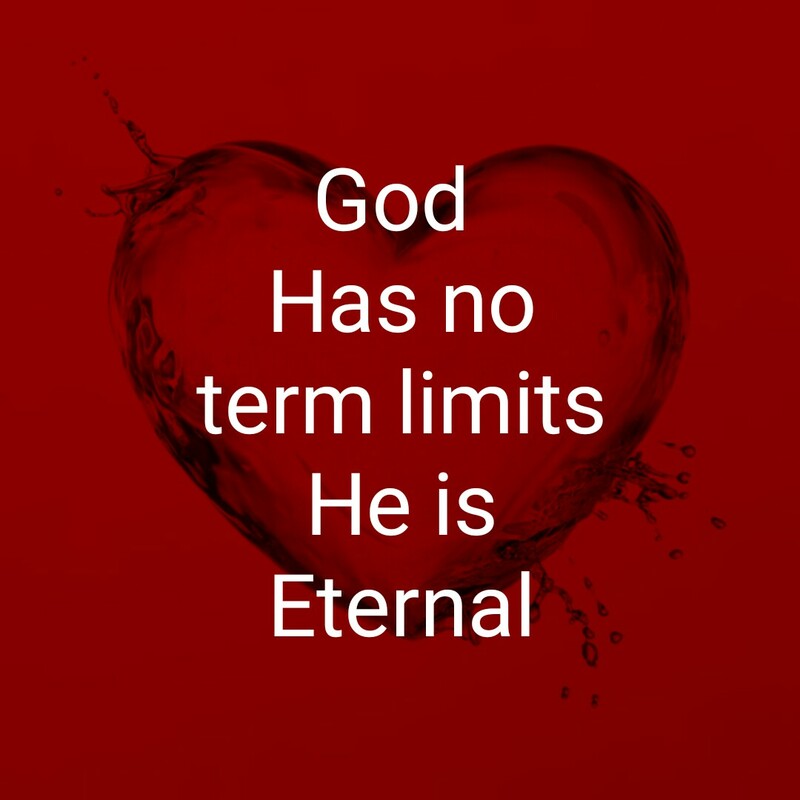 God has NO term limits! So whoever is President He is the ultimate authority, He is on the throne, He is King of Kings alone. During the time of Roman Caesars, early Christians were Persecuted severely and we can learn much from how the early church handled this. We have been given freedoms here that only a few nations have, yet we won’t recognize it. We want to go back to sleep and rest in our selfishness and slothfulness instead of opening our eyes and asking for a revival of the Spirit. Times, customs and laws have been changed in not only America but the world, are we busy winning the lost? Or has the body of Christ in America opened its doors to the seat of Satan? I’ll say again. God has no term limits. He is in control. Nothing happens that doesn’t pass His eyes. Yes we will have trouble in the world, but we are only commanded to love and care for each other and spread the gospel. We must be about our Fathers business. Look to God and the Holy Spirit for discernment, not the news media. In case you haven’t noticed the media lies. God does not. And God is eternal! Something does not feel right about this election farce. It seems “choreographed”. Too much “give them what they want to hear” talk. For Christians, let us return to the OLD WAYS, to the path of the Cross of CHRIST our Life, ( Col. 3 : 4 ) to follow the example HE+ has given to us, in all things. HE+ is our Protection and our Discernment, and our Strength.